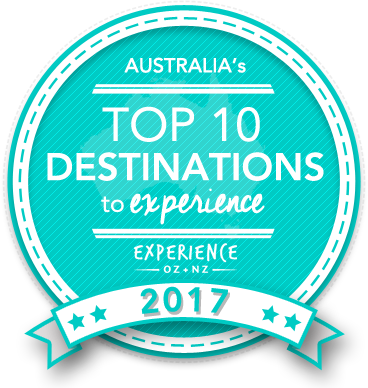 Vote forRottnest Island, WATop Island Destinations Which are Australia's must-visit destinations? You help us decide. Sitting 19 kilometres off the West Australian mainland, the beautiful Rottnest Island is WA's take on the scenic-wildlife-filled adventure wonderland motif. As an A-class nature reserve, 'Rotto', as it's known to the locals, is home to some of the most spectacular white sandy beaches, secluded bays and unique animals in the country. Its blend of island scenery and magical environments won over the public's heart in 2014, taking out the #1 spot – how will it fare this year? Convenience is one of Rottnest Island's biggest selling points with all of its natural wonder located a mere 30 minutes from the mainland. In return for a relatively short trip, you're rewarded with a concentrated dose of incredible natural beauty that is often compared to one of the Greek Islands. Surrounded by the sparkling Indian Ocean, Rottnest Island sits just 19km off the coast of Western Australia, and is a smorgasbord for scenic and coastal activities. Arrive to this stunning A-Class Nature Reserve by a short 25 minute ferry ride from Fremantle or 45 minutes from Hillarys Boat Harbour and feel a million miles from everything. One of the island's draw cards are Rottnest's famed Quokka colony and their fondness for selfies, as well as its population of New Zealand Fur Seals which can be seen lazing in the sun on some of the island's rocky outcroppings. Considering its proximity to the major urban centre of Perth, Rottnest Island maintains the atmosphere of an untouched haven despite its popularity, which should provide an idea of how well it's been protected. There is plenty to see and do on the island both in and on the pristine waters including surfing, fishing, snorkelling and swimming, while simply exploring the island makes for an adventure in itself. Biking is especially popular, with plenty of tracks to cycle on, while walking its various boardwalks also leads to a cavalcade of scenery. Careful conservation efforts have been made to keep the island in tip-top condition both from a wildlife and landscape standpoint spearheaded by the Rottnest Island Authority. Its various beaches and other publicly accessible areas remain largely free of human influence, rubbish and other factors that could otherwise taint its beauty. It's in large part due to this preservation that Rottnest remains such a special place. There are few such destinations in Australia where you can take in some Aboriginal history, go scuba diving, climb to the top of a lighthouse or visit a section of beach that provides a desert island atmosphere all just a short ferry ride away from a capital city. However, Rottnest Island is that rare example that combines them all into a distinctly unique Aussie travel package. Looking to pay a visit to Rottnest Island but not sure what to do? Here are some of the most essential experiences. Need more info on Rottnest Island? Check out our detailed travel features on this top spot below. Rottnest Island is home to numerous must-do experiences on both land and water; we highlight ten of the must-do activities and attractions on Rottnest in detail here. Is Rottnest Island Australia's Top Island Destination to Experience for 2017? Vote now for the chance to WIN an epic trip to one of Australia's top destinations!